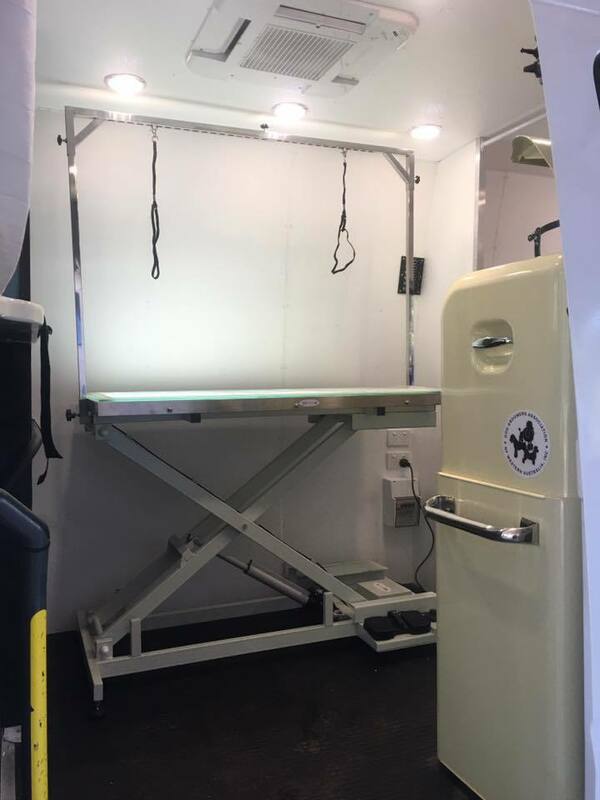 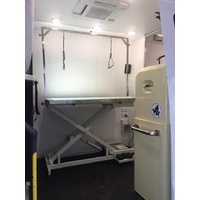 The fist grooming table with LED Light in the pet industry, which can give uniform light for every place, no blind angle. 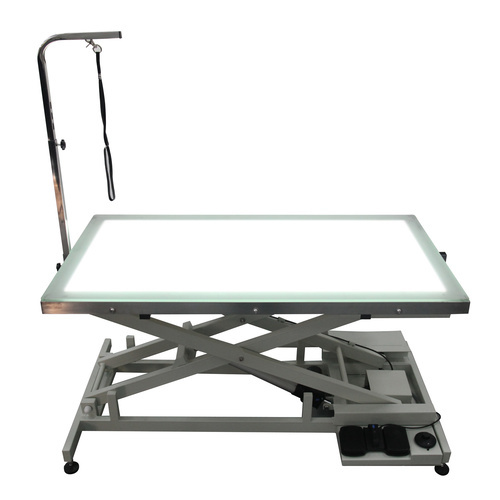 High-class LED chip ensures that its lifespan over 12,000 hours, full cold light illuminator makes the table surface still cool after long time continuously use. 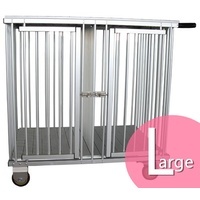 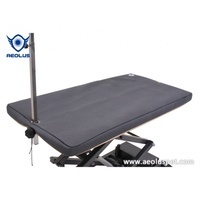 The super table has super range lowering to 10", providing easy step-on access even for large pet. 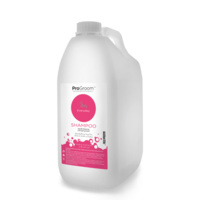 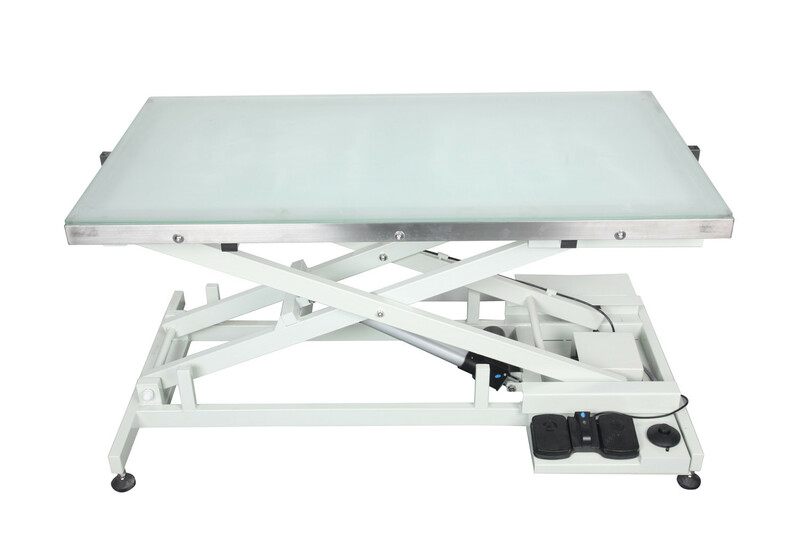 The removal top with non-slip silica surface glass top not only makes for easy cleaning but also safety and comfortable standing for pets. Distinctive LED Light Table Top, particularly suitable for training, grooming and lecture demonstrations, meanwhile suitable for hospital, clinic and salon. 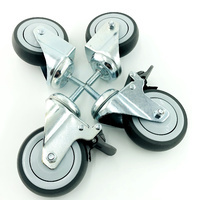 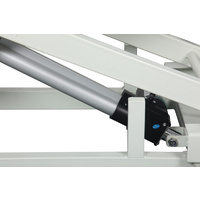 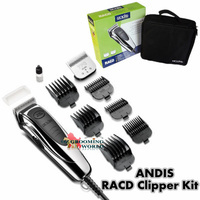 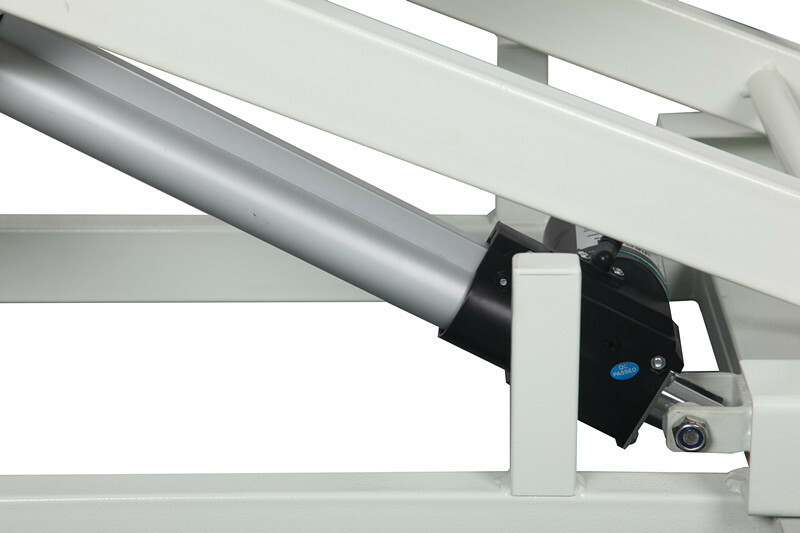 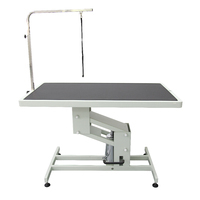 The lifting mechanism ensures that the table is always evenly supported to prevent wobbling and shaking. 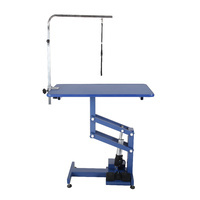 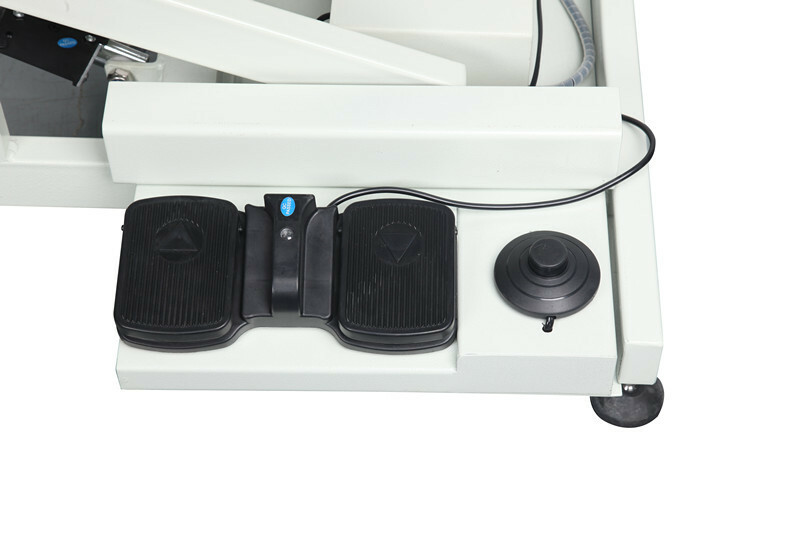 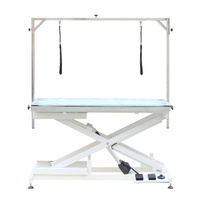 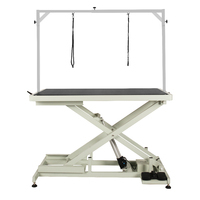 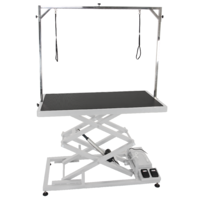 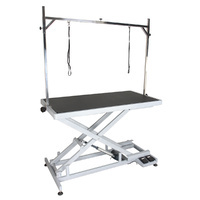 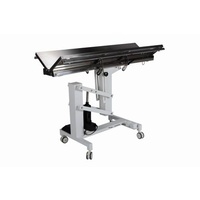 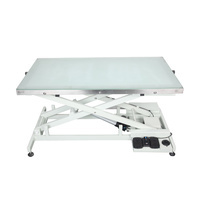 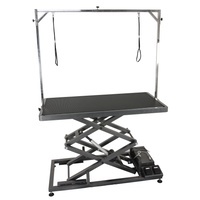 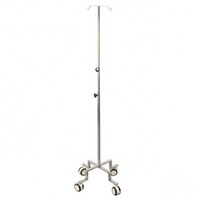 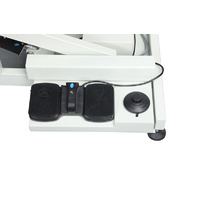 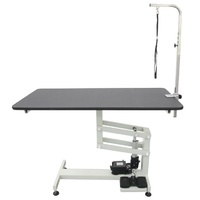 It is combined the low-low lifting table and LED technoledge, lifitng from 25.5cm to 95cm. 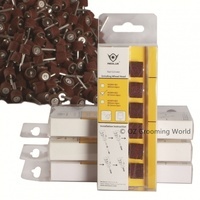 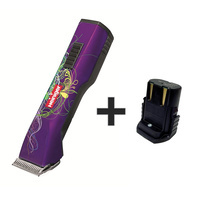 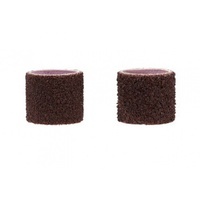 Grooming arm included (L arm).